Having recently journeyed to its pristine shores, I would now consider myself rather an expert on the culinary offerings of beautiful Barbados! From traditional Caribbean fare to extravagant, five-course affairs that Branson himself would be proud of, I tried it all – and have the half a stone to prove it. Here are my five favourite places to stuff your face in paradise. Bon appetit! Just minutes north of the port of St. Charles, this restaurant lies in a little fishing community called Shermans. The restaurant is in a family-run oceanfront hotel and is such a special litle place that we went twice. It’s been refurbished recently and is wonderfully relaxed, serving up gourmet seafood with a twist. I had some truly life-altering prawns that I’m sure will have ruined any future crustacean-based enjoyment I could hope to have. Prices, whilst never cheap in Barbados, are fairly reasonable here for the standard you’ll get. The view over the ocean is also a big selling point. Also worth mentioning is sister restaurant Atlantis; we weren’t quite as enamoured with it’s fare, but the view over the Atlantic (it’s on the North side of the island) is ridiculous and the service lovely. We wouldn’t be dealchecker if we didn’t give you at least some options on where to eat for less. Oistins Fish Fry is a weekly event every Friday in the area of Oistins, and is a big, rowdy, reggae-infused affair with stalls selling mouth-watering street food for under $12 a pop. I had a jerk flavoured mahi mahi dish that was absolutely incredible, and came with its typical Caribbean buddies of rice and peas and coleslaw. You eat outside on big, noisy tables, there’s dancing, music and an electric atmosphere – great fun! We also accidentally came across Just Grillin’, which is easily strolled past because of its plain, fast-foody looking exterior – but we actually ate one of our favourite meals of the holiday there! You’ll find it in Holetown, and what you’ll get is hearty, proper Caribbean home food. Some locals told us that their signature dish is actually their chicken caesar salad – and it certainly looked delicious. Prices are around the $14 mark. Disagree with me? 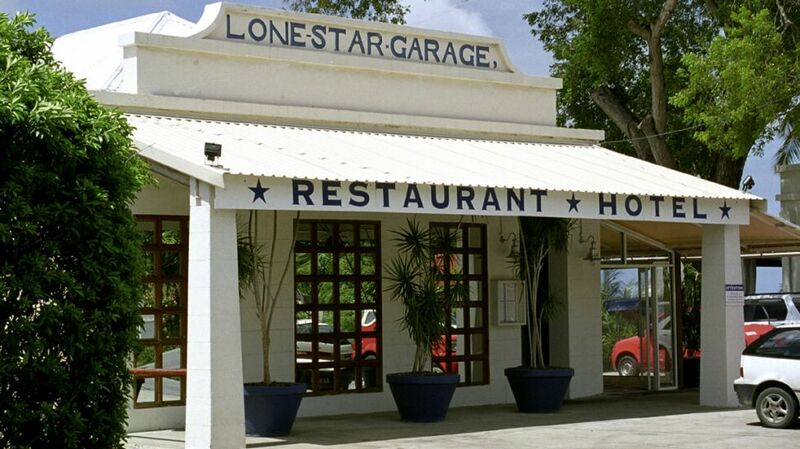 Got any other top tips on Barbados foodie hot spots? We’d love to hear from you!